1. To allow you to halter him quickly and easily. 2. To walk along with you when on a leash, keeping the leash loose. 3. To jump into a van, pickup, or trailer for transporting. 4. To let you handle their body, so you can do grooming or check injuries. Beyond that, what a llama will be doing will determine what you train it to do. If a llama is destined to be a pack animal going into the mountains with you, then a series of lessons in carrying a pack will be called for. Llamas can be trained to drive to cart, to sit down and get up on command, and much more. After I heard Bobra say that once, I thought I would test out her assertion by counting how many repetitions it did take before my llama Whiskers would willingly enter my VW van through the side door. I didn’t have to count very far, just to five! Afterwards, he would always jump right in the van when we wanted to take him somewhere. Sometimes it was many months between outings, but he never forgot. In contrast, I have never succeeded in teaching any of my dogs something in only five trials. Comparing llamas and dogs in another way is interesting. 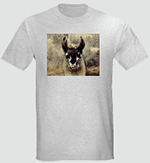 Llamas will learn more rapidly than dogs that walking with the leash loose is really the way to do it! This makes it a lot of fun to take a llama out hiking along backcountry trails. However, if horses come along, do be quick to yield the right of way. Move your llama a ways away from the trail so the horses will be less likely to spook. 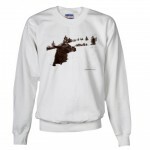 If they haven’t encountered llamas before, they may be a bit afraid. Bobra has had many llamas herself and out of her experience she has developed many ways to train them. For instance, she teaches llamas to allow themselves to be haltered by using a slow movement in approaching their faces with the halter. The animals seem to appreciate the calmness, and it’s really quite easy for anyone to learn to halter llamas this way. Her methods are also widely used with alpacas. She trains llamas of all ages, and you can learn to do it too. While you might wish that all your llamas would be already trained when you get them, you are likely to find some that need more work. This is because people often don’t know how to train or they just don’t bother. But you can get a DVD online which shows Bobra Goldsmith’s methods. It’s useful for learning to train llamas, naturally — that’s what it was made for — but it also turns out that quite a few people get the DVD before they get llamas, to get a sense of what is involved in llama training. 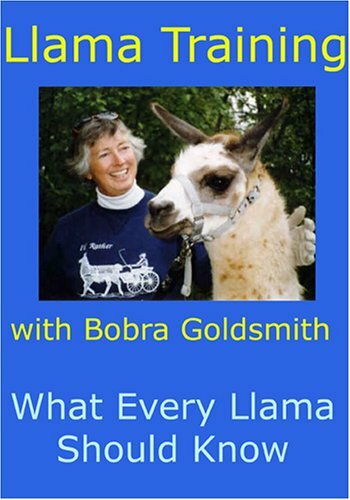 For more about expert llama trainer Bobra Goldsmith and her methods, visit this llama training page. 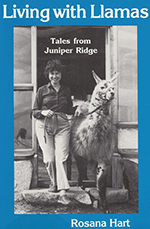 Rosana Hart is the author of “Living with Llamas” and worked with Bobra to produce the DVD. Click on the image to see it at Amazon.